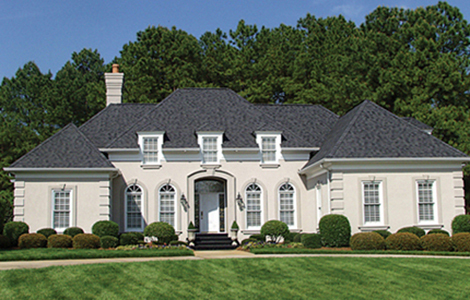 This single level French country design features all the grace and charm of a countryside manor. The covered entryway leads to a grand open area with graceful columns outlining the living room and dining room. The master suite occupies one wing of the home and features a bay window and vaulted ceiling.